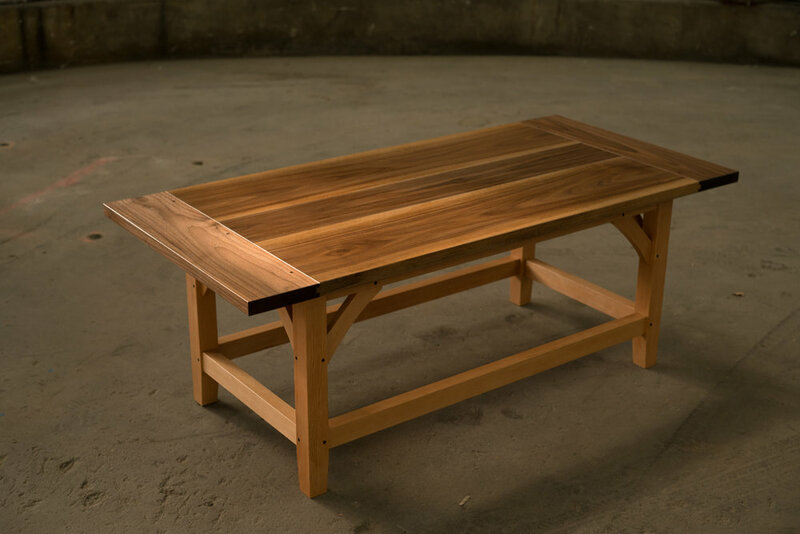 This coffee table draws much inspiration from traditional construction techniques that would have been found around the farm a hundred years ago. 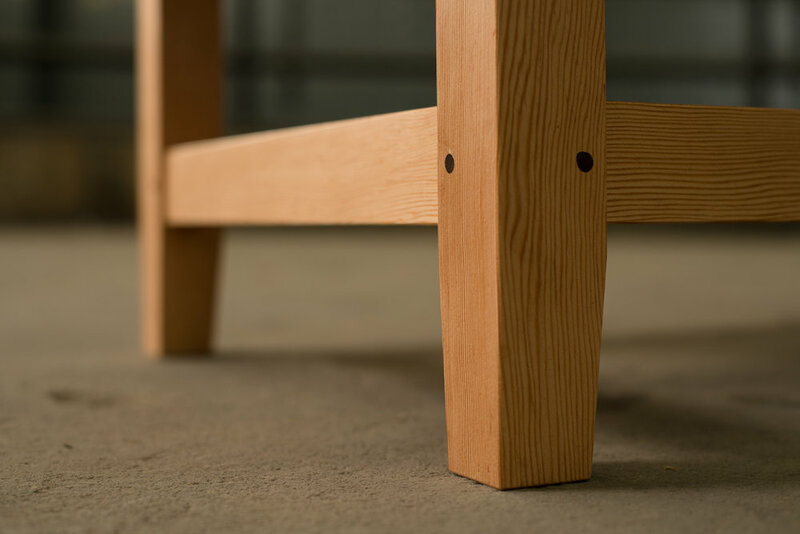 The base, made from a single slab of vertical-grain, old-growth, Douglas fir, is built in the style of a timber-frame barn. Each tenon is cut and fit to its matching mortise by hand, and then drawbored with a handmade walnut peg, creating a joint that will last a lifetime. Each board in the top is smoothed and chamfered before being glued, leaving a subtle definition between pieces to highlight the character of the walnut, and enhance the contrast between the deep, rich heartwood and the lighter sapwood. 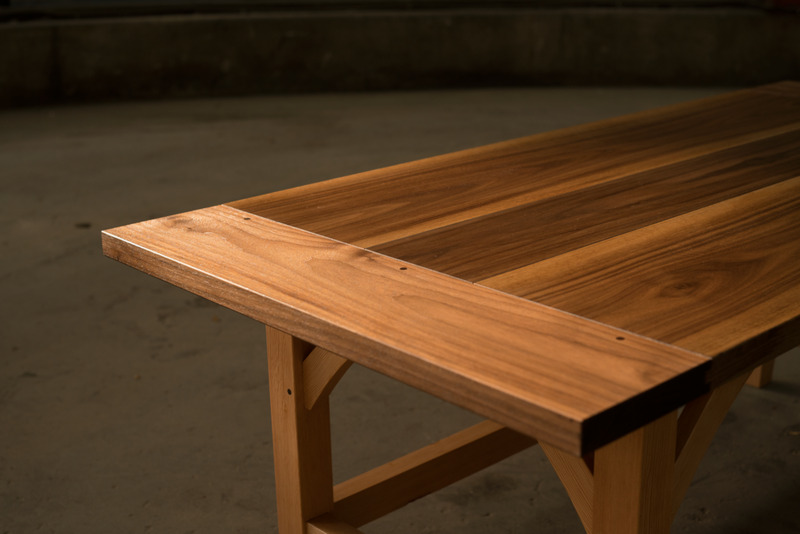 The entire table is then finished with many coats of natural oil and wax, hand-rubbed to a soft sheen to produce a finish that is durable enough for daily life without obscuring the natural beauty of the grain.